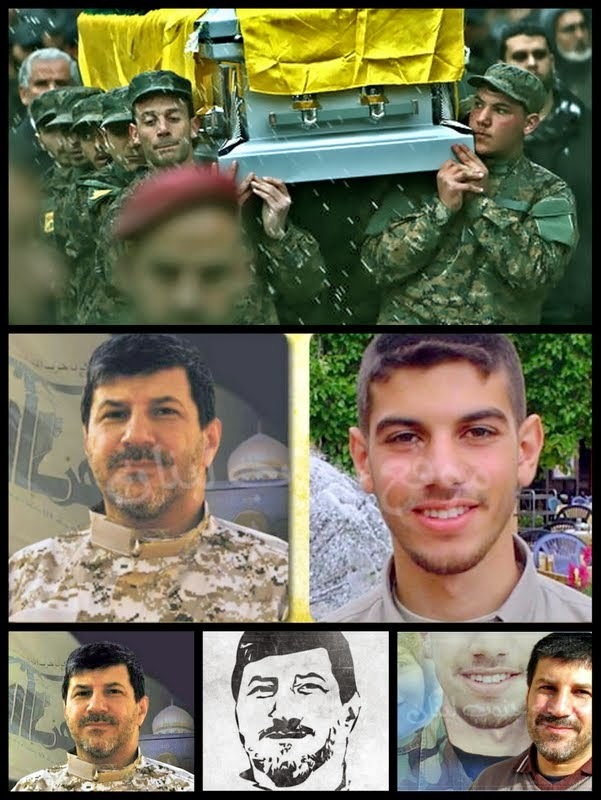 A senior commander of Iran’s cat’s-paw in Lebanon, the militant Shiite movement Hezbollah, has been killed at close range in Beirut. Hassan Lakkees was killed near his home in Hadath, seven kilometers southeast of the Lebanese capital Beirut. He was buried in the town of Baalbek. Little is known publicly about Lakkees, but he was reputedly close to Hezbollah leader Hassan Nasrallah and an expert in weapons manufacturing, particularly drones. Thousands of people turned out for Lakkees' funeral in Baalbek, a Hezbollah stronghold in eastern Lebanon. Lakkees' coffin, draped in the Hezbollah flag, was carried through the streets of Baalbek. The news comes a day after Hassan Nasrallah said Saudi Arabia was behind last month's bombings outside the Iranian embassy in Beirut. Iran is a major backer of Hezbollah, which has sent fighters to Syria to back the regime of Bashar al-Assad. A report on Hezbollah’s al-Manar TV channel Wednesday said Lakkees was killed as he returned home from work around midnight. It said Israel had tried to kill him several times previously. Two neighbors at the quiet residential complex where Lakkees lived said he arrived home alone shortly before midnight and just got out of his car – a 4x4 Jeep Grand Cherokee -- in the parking space beneath his apartment block when he was shot four times in the head and neck at close range by two or three attackers apparently lying in wait. They said two men were seen running away across some waste ground leading to boulevard Camille Chamoun nearby. The neighbors had no idea he worked for Hezbollah. Some sources say Lakkees was shot with a 9mm silenced gun. Israel denied any involvement in the death. "These automatic accusations are an innate reflex with Hezbollah," Israeli foreign ministry spokesman Yigal Palmor said. "They don't need evidence, they don't need facts. They just blame anything on Israel." Shiite Hezbollah emerged with financial backing from Iran in the early 1980s and began a struggle to drive Israeli troops from Lebanon. Hezbollah fought a destructive 34-day war with Israel in Lebanon in 2006. One of Lakkees's sons – named Ali Reda -- was killed in that war. He added: "Hassan was the leading figure who received Iranian guidance, he studied in Iran the issues of micro warfare, terrorism, counter-terrorism, and he brought this knowledge with him to Hezbollah, so he was one of these channels through which the Iranians gave Hezbollah their assistance."